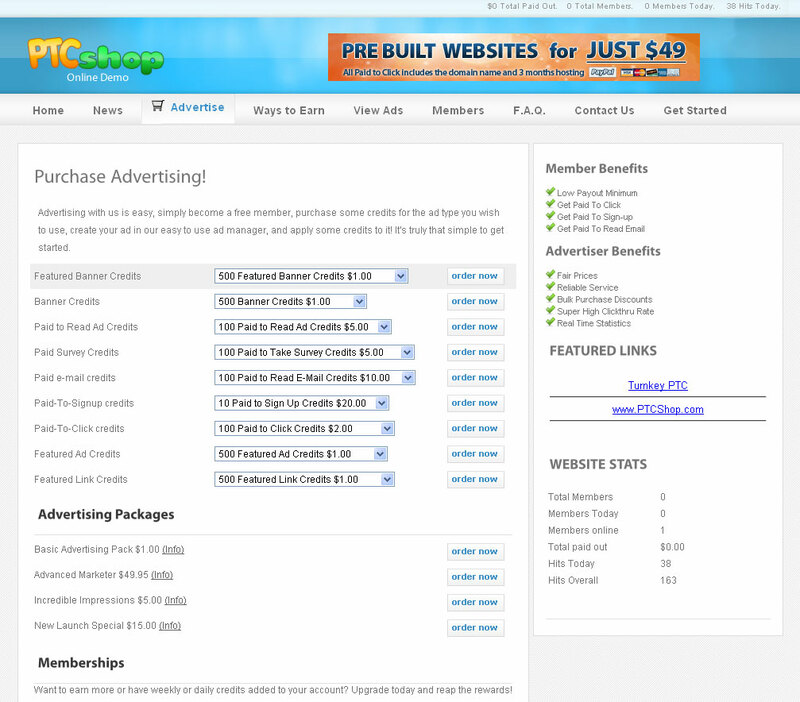 Below is the demo website for PTCShop. 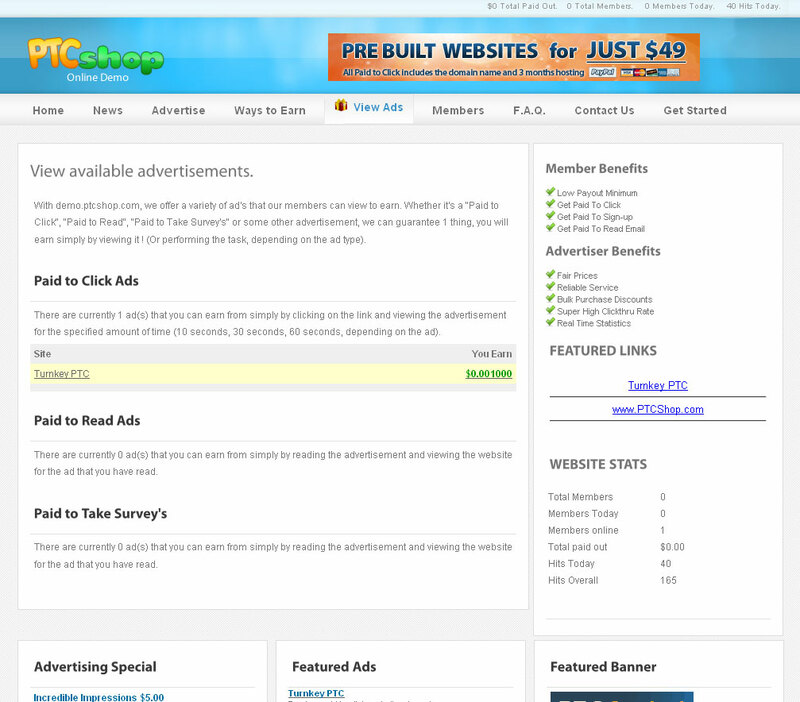 Please note, this site is live, and subject to changes. It is restored to default settings weekly. 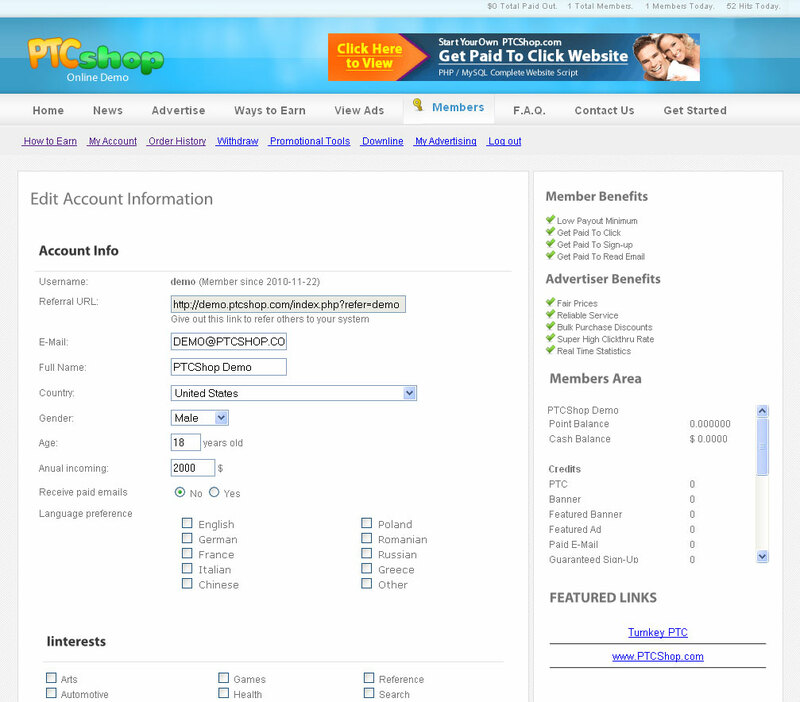 Below is the default admin panel included with the PTCShop web script. 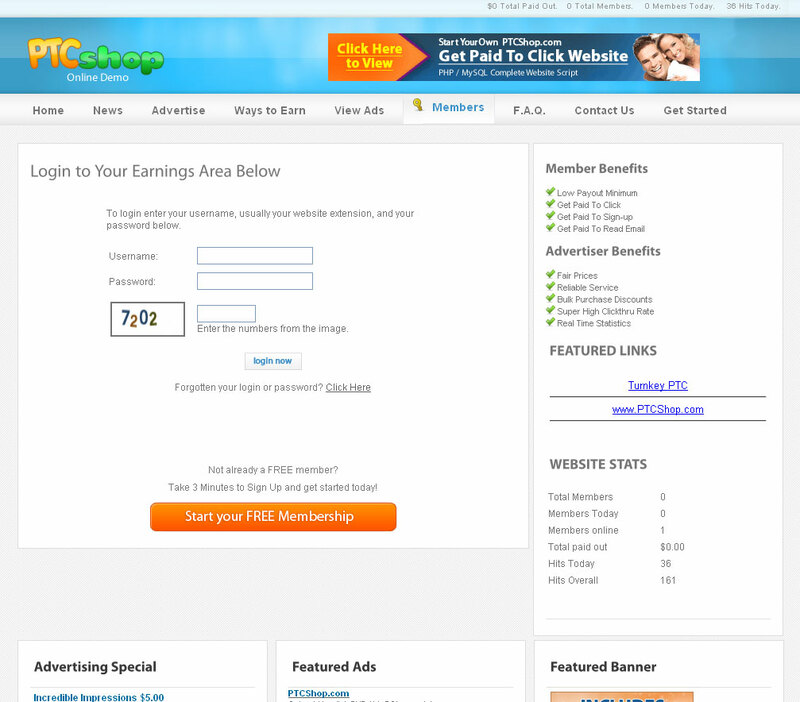 It offer's diverse functionality for you to manage your business effectively and effeciently.